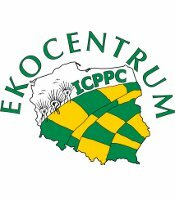 Farmers of the Western-Pomerania region of Poland have been protesting continually for the last three years. Agreements and contracts signed with the government have not been fulfilled leading to to bankruptcy for many farmers, loss of agricultural land and to consumers being deprived of the ability to buy good Polish food. This week thousands of Polish family farmers from the Solidarity trade union turned out to protest in over 50 locations across the country. Over 150 tractors have been blockading the A2 motorway into Warsaw since the 3rd February and hundreds more have closed roads and are picketing governmental offices in other regions. The farmers are vowing to continue the struggle until the government agrees to enter talks with the union and commit to addressing what they see as a crisis in Polish agriculture. The Ecologist "Polish farmers block motorways for land rights, no GMOs"
Thousands of small farmers in Poland are blockading motorways and holding demonstrations to demand land rights, a ban on GMOs and an end to oppressive health and safety regulations - and they are refusing to call off the protests until their demands are met. NGOs, scientists, anti-GM groups, celebrities, food manufacturers, and others representing 57 million Americans today publish an Open Letter to the UK and the entire EU warning of the serious and manifold hazards of GMO crops - and promising their support in our fight against them. Monsanto's 'Roundup Ready' GM maize could be growing in Europe next year.